Retired Military. Former airline operation and management. Current Commissioner, Maryland Aviation Administration. 10 years grass roots political activities; writing, speaking, testifying, training, recruiting, conducting meetings, organizing rallies, petition drives, and many other organizing efforts. Positions held: Chairman, Americans for Prosperity, Southern Maryland Chapter. Chairman, Republican Central Committee for Prince George’s County. Elected member, Republican Central Committee of Prince George’s County. President, Southern Prince George’s Republican Club. I’m running for office to go to Annapolis and fight to make Maryland more friendly to those working, raising our families, running a business, and want to retire in Maryland. To ease the burden on Marylanders by getting the Maryland state government out of pockets. It means continuing to fight against the ever increasing cost of government, increasing taxes, and the constant encroachment of burdensome regulations on both individuals and businesses. The Great Communicator, Ronald Reagan. His leadership, strength, intelligence, sense of humor, and love of country are some of the more salient characteristics for which I admire. Of course being like Reagan is a tall order. The Heritage Guide to the US Constitution. It gives a detailed explanation of each of the articles, amendments, and clauses of the Constitution. It breaks it down to who said what and how all of it came together. It’s a great originalist’s source document and should be part of every conservative’s political library. My top priority will be to support legislation to give Maryland back to it’s citizens by reducing the size of the boot the general assembly has on our throats. This means reducing taxes, fees, reforming government spending, supporting term limits, supporting independent redistricting, and fighting the encroachment of burdensome regulations on both individuals and businesses. This district (27B) spans two counties; Prince George’s and Calvert. Taxes and job opportunities are a concern for both counties. But each county has it’s specific issues and being a Republican living in PG gives me a perspective to understand both. 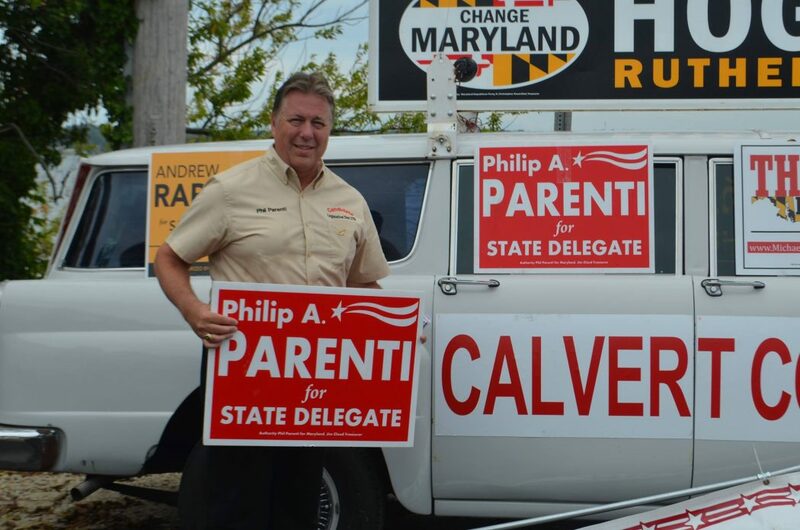 As a Republican, I can empathize with the conservatives in Calvert County concerning taxes, spending, and opportunities. I also understand many Calvert residents want to maintain Calvert’s rural feel while continuing to upgrade their infrastructure. As a delegate representing Calvert, I will fight to gain Calvert’s share of the transportation trust for their roads and bridges. The Chesapeake Bay is important to Calvert and I support efforts to continue the Bay restoration efforts. I will also coordinate with the local government to work out any issues arising between the state and county. The Prince George’s County side of the district is similarly rural and share concerns about taxes and opportunities. But PG faces different issues, mainly education. I would work with the local school board to offer solutions to manage the schools and usher in a different direction toward school choice. State mandates in Prince George’s County are really noticeable and I will make every effort to minimize these unfair burdens. Taxes, over regulation, and illegal immigration. I am personally opposed to abortion but understand the issue was settled by Maryland voters. Legislation to prohibit late term abortion arises from time to time and I support those limits. On assisted suicide, it’s currently illegal but will study the issue in depth if legislation is presented. Cut spending to reduce taxes to allow each Marylander to keep more of their money. This is what keeps an economy prosperous. I’m an unapologetic gun owner and a staunch supporter of the 2nd Amendment. All the above approach to school choice. We are only limited by our imagination. Increase vocation training even if there is a corresponding reduction in college prep enrollment. Not everyone wants to go to college. Untether charter school programs from the local school districts and increase charter schools, especially for Baltimore City and PG County. Provide school vouchers for kids to attend other local schools or private schools. Marijuana is a schedule 1 substance and is therefore illegal according to federal law. Many states have created and are creating their own laws regardless of federal law. However, as a Maryland state delegate, my position is in two parts. The first part is medical use. There are ample studies and testimonies to support medical use marijuana. Military members have even reported relief from symptoms of PTSD. Therefore, I support use for medical purposes with the understanding that more research is needed. The second is recreational use. I have no desire to “blaze up” but there seems to be a great deal of interest in recreational use marijuana. Therefore, I support a referendum to allow the voters to decide. It’s better to give the voters a choice to decide on this issue once and for all. As an advocate for free market principles, I say get the legislation out of the way and allow markets to grow, in this case the craft brewing industry. Currently (and historically), Maryland’s comptroller regulates the alcohol industry and is trying to create a more friendly regulatory environment for Maryland’s craft brewing industry. The idea is to streamline the regulations thus eliminating the three tier approach. But the recalcitrant legislation wants to maintain the outdated post prohibition era laws and some have even commissioned a task force to study removing the authority to regulate the industry from the comptroller’s office. This may be intended to give the general assembly more control. I support simplifying the regulations and allowing growth of the industry and would oppose any legislation that prevents growth. No, I absolutely do not intend to take advantage of Maryland taxpayers. After all, I only live about 40 minutes from the House of Delegates. That’s no more commute than many Maryland workers. Besides, there are many events planned throughout the session whereby food is served. I support legislation that would provide due process for dismissing legislators who act with lascivious behavior. Legislators are sent to Annapolis to do the peoples’ work not engage in debauchery. There’s no room for it in the state house….